Deals/Deal Requests / Re: Hot! NJNG offering $150 instant rebates on Smart Thermostats. Ecobee 3-$19.99! Credit Cards / Re: PSA: DO NOT BANK WITH CHASE OR YOUR CREDIT CARDS MAY GET CLOSED! I just signed up for liberty, but now I hear that people aren’t getting paid and I’m getting nervous. Just Shmooze / Re: GIVEAWAY TIME! Seven sets of BAGSMART Travel Packing Cubes giving away! Install a smart relay that will shut the power to the doorbell? General Discussion / Re: HTTPS for the site? Why not just add it through cloudflare? don't forget if you're on a shared environment most likely you'l need to repeat the steps every three months might not be cost effective. You can get free ssl by signing up for a free cloudflare account. Seems to be a lot more expensive than liberty. Though I guess you will need significantly higher rates to carry a pool consisting mainly of large families with frequent pregnancies who run to the doctor for every sniffle. Is there a way to get WeMo light switches to interface with zwave controlled device? My alarm system is z wave but my thermostat and switches aren't. Experience your tunes in high definition and surprising fullness realized through a 4W / 2in driver and bass port – outclassing other similar-sized portable speakers. Automatically connect to the last-connected device when turned on enables one-step music streaming. Compatible with all Bluetooth-enabled devices (2.1 and over). 3.5mm audio port for non-Bluetooth devices. Outstanding connection range of up to 33 feet. Built-in microphone with a 2-feet pickup range allows the speaker to double as a speaker phone. 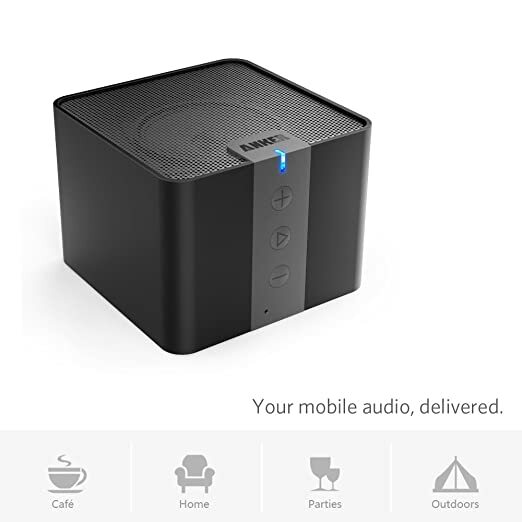 Package contents: Anker A7908 Portable Bluetooth Speaker, micro USB cable, 3.5mm audio cable, travel pouch, instruction manual. 18-month warranty and free lifetime technical support.